Going to the dentist is something that many people avoid, yet it’s vital when it comes to preventing the development of tooth decay, gum disease and other oral health problems. In the past year, just 13 per cent of Australians have visited the dentist, while as many as 65 per cent of the population haven’t been in the last two years, according to the Australian Dental Association. Baby Boomers should be visiting the dentist at least once a year, with nearly half of all adults consuming too much sugar that can be damaging to teeth. It’s not just bad breath that people have to worry about, with 15.5 per cent of people suffering severe tooth loss, 16.2 per cent experiencing toothaches and 19.8 per cent suffering from gum disease. Working with older patients regularly, Foley notes it’s Boomers who are bearing the impacts of a lifetime of dental disease and treatment and are more likely to report difficulties, pain or embarrassment when it comes to eating, smiling and socialising. For many, problems with their dentures are one of the biggest concerns when they see a dentist. 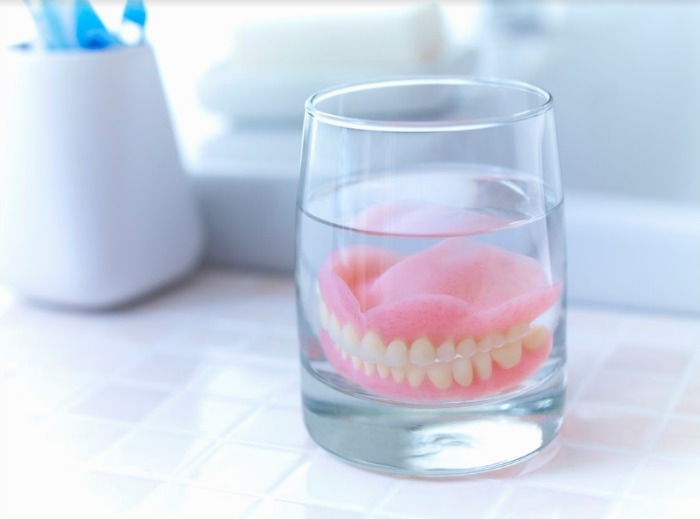 Brushing dentures at least once a day with a soft brush and soap can help maintain proper dental hygiene. Unfortunately, regular toothpaste is too abrasive for dentures, so it’s best not to use it. For those without dentures, heavily filled teeth can also cause problems. Filled teeth tend to be weaker than teeth without fillings, while they can also wear down or fail over time. “The emphasis should always be on prevention – maintaining the teeth and gums as healthy as possible, and preventing or reducing the need for future dental treatment,” Foley says. It’s also important to brush your teeth and gums with a soft toothbrush at least two times a day. In addition, avoid using a heavy sideways scrub and instead opt for a round and round action. The type of toothpaste you use can also help. Flossing is also important in reaching parts of the mouth a toothbrush can’t reach. Simply guide the floss between two teeth, gently cleaning the back surface of one tooth and the front of another. Flossettes, interdental brushes and water irrigators are also helpful. Healthy teeth and gums are vital for eating, talking smiling and socialising, while older people are at a greater risk of developing cancer and other diseases that can impact the mouth. What do you think? When was the last time you went to the dentist?